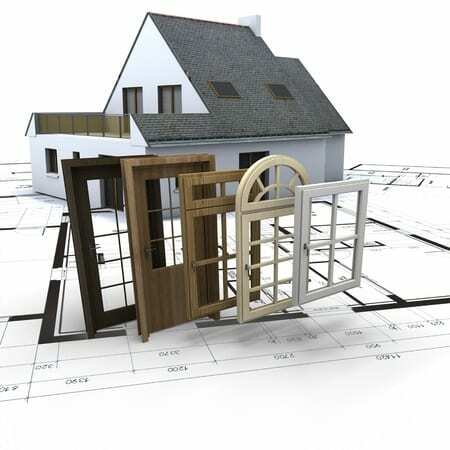 Need a Replacement Windows Contractor? From double hung, single, or sliding windows, with the right choice you can save around an average of ten percent on your heating and cooling bills each month. Remodeling, historic renovation, and comfort factor are all reasons to replace existing windows, and vinyl is just one choice that can give you years of way above average performance in the eco-friendly/ sustainability department. Aluminum windows are lightweight and strong, another way that JRC can help you protect your absolute most important investment. We love to hear from customers who we have made feel more secure, and delighted to spend hours relaxing in their remodeled place of refuge! Windows protect our homes from various forms of dirt or air pollution and also protect us from excessive weather conditions. However, as time passes, the windows, just like some other gadgets in our homes call for a replacement. Another significant reason why you should install new windows is simply to improve the look of your home and also make it more energy efficient. If your home’s cooling or heating bills are extremely high, replacing your windows with their energy-efficient counterpart will significantly lower your heating and cooling bills. Whether it is single, double hung or sliding windows, with the right choice of material you can save an average value of about 10% on your heating and cooling bills each month. Vinyl is just one choice that can give you years of way above average performance in the eco-friendly/ sustainability department. The Aluminum windows are also lightweight and strong and are another way that JRC can help protect your most treasured investment. Since replacing your home’s windows is a big investment, it is important you cautiously choose a replacement window contractor. At JRC, we pride ourselves on our handpicked window replacement products and workmanship as well as offering our clients an increased value for their homes. Be it residential fallen window solutions, residential window glass replacement, broken windows, and foggy window repair for single and double pane windows, we offer competitive pricing and exceptional quality service. We also install new windows in such a way that they will last for several years with just minimal maintenance. What makes our replacement windows stand out? The majority of our window replacement services are recommendations from satisfied clients who are pleased with our professional, cost-effective and time-efficient services and are happy to refer us. This shows we are doing something unique. We offer a host of commercial and residential window replacement in Denver Colorado and its surrounding areas. The team of experts at JRC Exterior Solutions follow industry best practices to make sure that your repair or replacement is of the highest quality. They can help you decide on what is best for your home and budget. We are devoted to your satisfaction. For further inquiries or bookings, contact us at 303-916-1488.